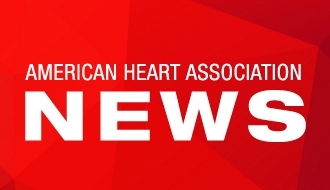 DALLAS, Monday, June 22, 2017 – On July 1, 2017, Paul J. Wang, M.D., will become the new editor of Circulation: Arrhythmia and Electrophysiology, one of 12 American Heart Association scientific journals. Each month, the online-only journal publishes high-quality, clinically relevant articles focusing on advances in the understanding of pathophysiology, diagnosis and treatment of cardiac arrhythmias. Critical new research presented on topics related to clinical applications, such as devices for arrhythmia management, catheter ablation, the pathophysiology of the arrhythmia substrate and novel biologic therapies, reflects the rapid evolution of cardiac electrophysiology as a discipline in its own right. Wang, the director of the Stanford Cardiac Arrhythmia Service and professor of Medicine and of Bioengineering at the Stanford University Medical Center in Stanford, California, is an expert in the treatment of cardiac arrhythmias, including atrial fibrillation, atrial flutter, ventricular arrhythmias, supraventricular arrhythmias and sudden cardiac death. He has practiced cardiac electrophysiology for more than 26 years, has pioneered new techniques in the management of heart rhythm and is the co-inventor of catheter cryoablation, a treatment that uses extreme cold to freeze damaged heart cells that cause an irregular heartbeat. Wang is also the past chair of the American Heart Association’s Council on Clinical Cardiology ECG and Arrhythmias Committee. “Dr. Wang’s proven leadership and innovative approaches to the treatment of cardiac arrhythmias will be a great benefit in his role as editor of Circulation: Arrhythmia and Electrophysiology, said Robert M. Carey, M.D., Chair of the American Heart Association’s Scientific Publishing Committee and Dean, Emeritus, and University Professor at the University of Virginia Health System in Charlottesville, Virginia. Learn more about the journal at http://circep.ahajournals.org/. Editor-in-chief of Circulation: Heart Failure and director of the Stanford Cardiac Arrhythmia Service, professor of Medicine and Bioengineering at Stanford University Medical Center in Stanford, California.